But the rain is getting old. It has rained almost nonstop here for the last 2 weeks. If I don’t see some sunshine soon, I’m gonna lose it…seriously…it is so depressing. I could even handle the chilly weather if it would just stop raining. We haven’t been able to do any of the fun outdoor fall stuff yet. 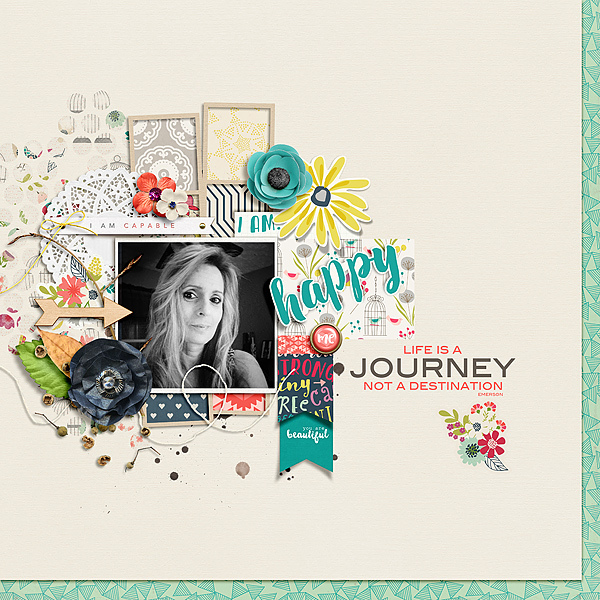 Sahin Designs has a fantastic new template set and gorgeous new kit! 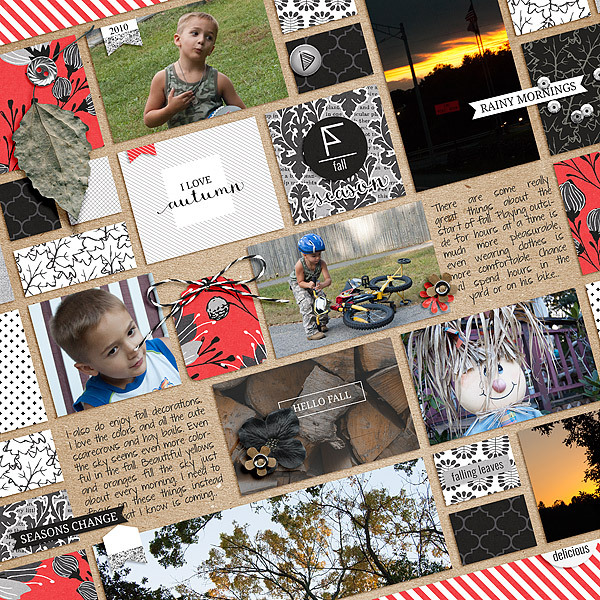 The first layout uses the new October 2015 Layout Templates and the second uses the new templates as well as the new kit – Autumn Day. 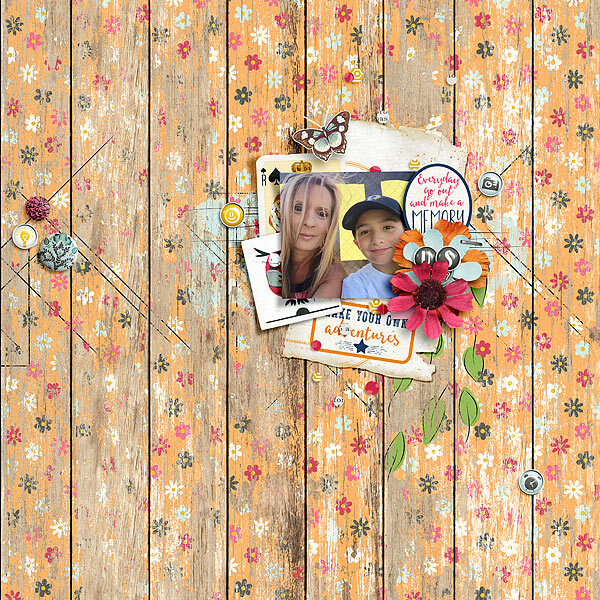 River~Rose is now a permanent designer at The Digital Press – Yay! 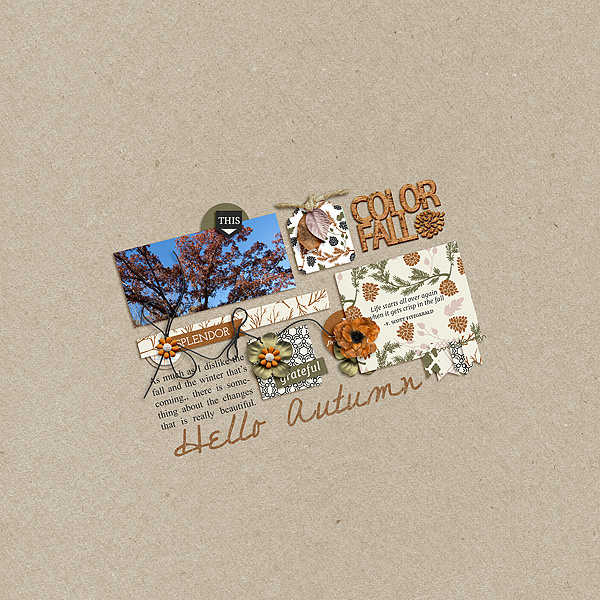 Her new kit this week is called Autumn Woodland and she is having one fantastic sale! 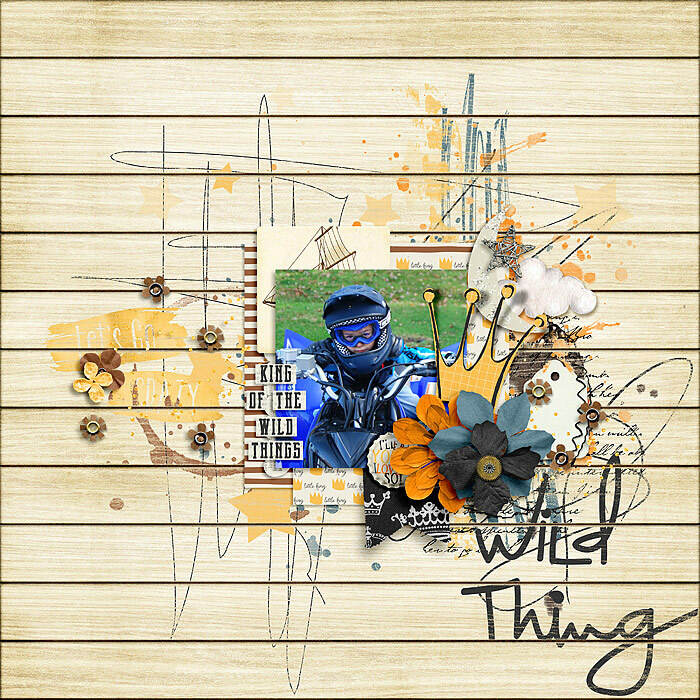 Traci Reed Teamed up this week with Studio Basic for one awesome collection called Wild Thing. I am in love with this one!! And one of my favorite weeks – it’s BYOC at The Lilypad!! 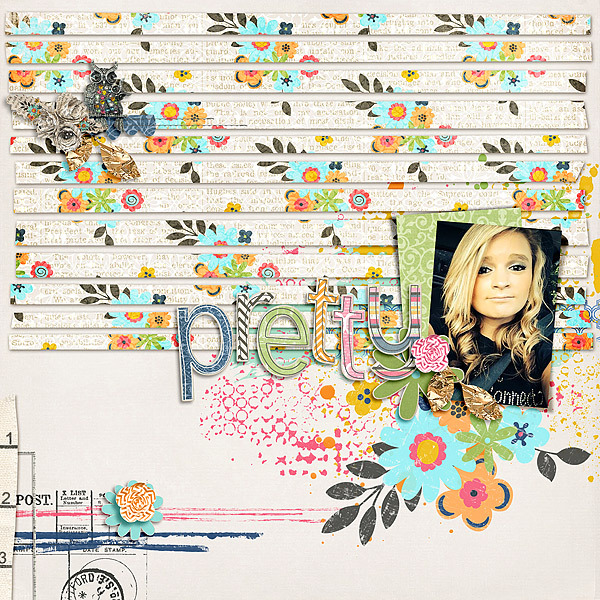 Amy Wolff has these greats – Pretty Planks vol. 3, Think Plan Do, and Think Plan Do Alpha. And Danayle has this gorgeous stuff – At A Glance Papers, At A Glance Elements, and Alphabet Soup – At A Glance. And last but certainly not least, it’s a new month and that means a new collection at Pixels and Company – I Am. Isn’t it all amazing!! I am in love with each and every one of these products! And now I am off to sort some folders and work on getting caught up on my Life in Pockets. I am a couple of weeks behind UGH. Have a great rest of the weekend. Peace, out…. Previous PostPrevious Did someone say deals?